The US envoy for North Korea was quoted as saying Monday that the two sides have yet to narrow their differences on denuclearization ahead of this month's second bilateral summit. 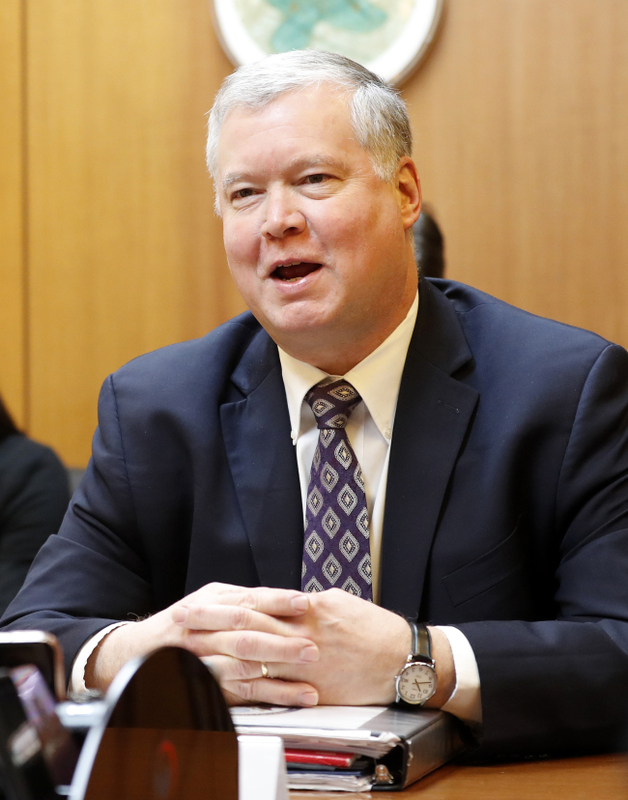 US Special Representative for North Korea Stephen Biegun made the remark during a meeting with a visiting South Korean parliamentary delegation, according to the group. Biegun and his North Korean counterpart, Kim Hyok-chol, held talks in Pyongyang last week to hammer out the agenda and logistics for the Feb. 27-28 summit to be held in Hanoi, Vietnam, between US President Donald Trump and North Korean leader Kim Jong-un. According to the delegation members, the US envoy said the two sides laid out what each side seeks from the summit but will start narrowing their differences in the next round of talks. South Korea's presidential office said earlier that the United States and North Korean officials plan to meet again in an Asian country next week. Biegun said last week's meetings were only the first round of preparatory talks, and that while there was agreement on the summit's agenda they would need more time to understand each other. "With only two weeks until the summit, it will be difficult to resolve all the tricky issues, but there's a chance if we can agree on a timeline (for denuclearization)," a South Korean delegation member quoted Biegun as saying. The second summit will seek to flesh out Trump and Kim's agreement at their first summit in June, which included a commitment to work toward the complete denuclearization of the Korean Peninsula in exchange for security guarantees for Pyongyang. The US has demanded concrete steps toward denuclearization, including an inventory of North Korea's nuclear and ballistic missile programs, while the North has sought sanctions relief and a formal end to the 1950-53 Korean War. Biegun expressed hope that the Koreas and the US will someday be able to hold a trilateral summit, and called for close coordination between Seoul and Washington, the delegation said. In particular he reiterated Washington's position that development of inter-Korean ties should not outpace North Korea's denuclearization and remain within the framework of international sanctions on the regime. "It's a long road to normalizing ties with North Korea, signing a peace treaty and establishing the foundation for economic prosperity on the Korean Peninsula, but (the US government) has chosen to (work toward that)," Biegun was quoted as saying. "I hope North Korea makes the right choice, and I believe it can."